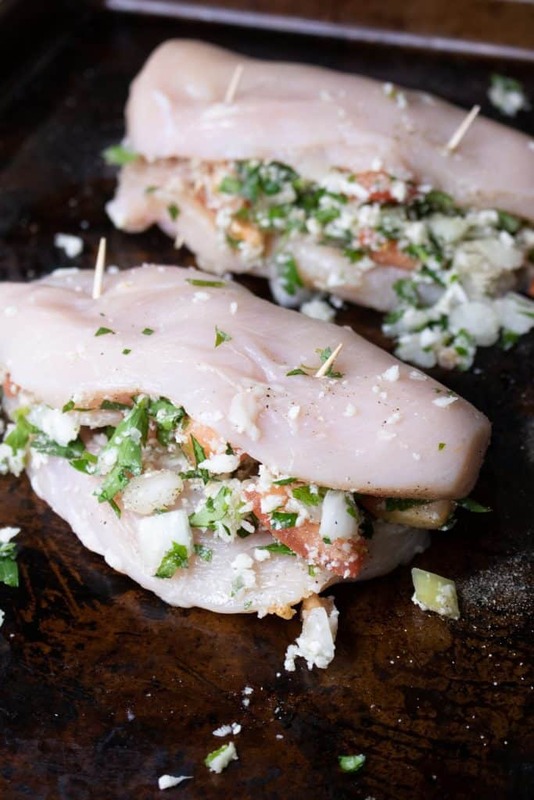 This delicious Keto Pico de Gallo stuffed chicken is bursting with flavor! Serve with slices of lime and for some kick top with hot sauce! Nothing more fun for me than finding yummy ways to use favorite ingredients in new better for you ways. 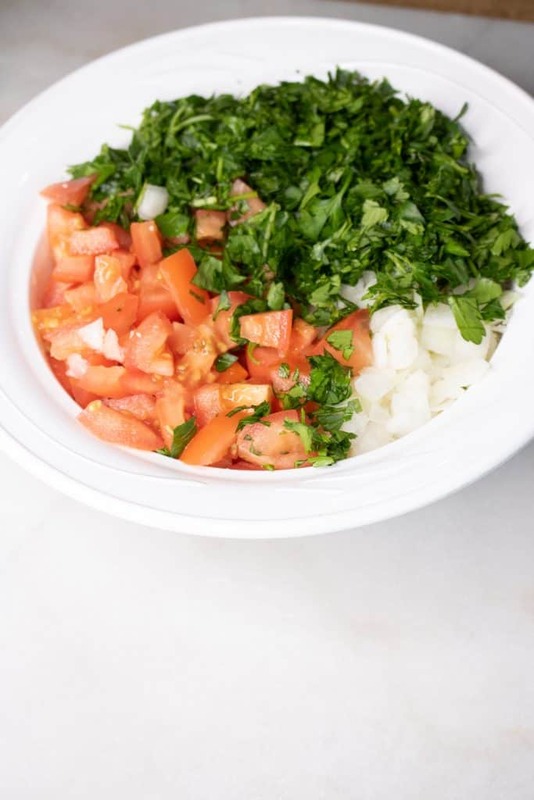 Pico de Gallo is one of my very favorite ingredients and we often serve it over cauliflower rice, with a taco salad or even poured over avocado and toast! 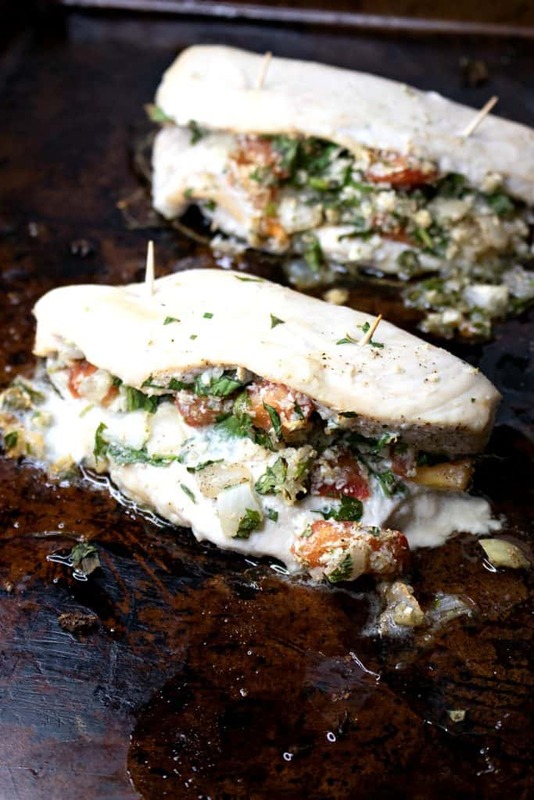 It also tastes amazing in this pico de gallo stuffed chicken recipe! What is Pico de Gallo? Pico de Gallo is a fresh tomato salsa that’s best made in batches because it taste amazing with everything! Another more current favorite that we use almost daily: Cauliflower rice! 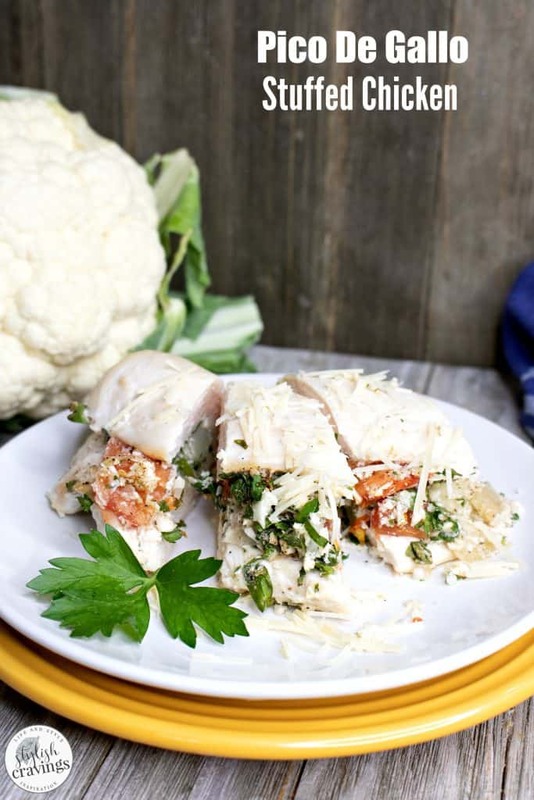 In this low carb recipe, the Pico de Gallo and cauliflower rice are effortlessly combined and stuffed into the chicken to create a complete meal in this tasty Keto recipe! Short on time? I’ve bought pre-made Publix and Walmart Pico de Gallo and they’re really good too! As for the cauliflower rice, I buy it frozen when I’m in a rush. 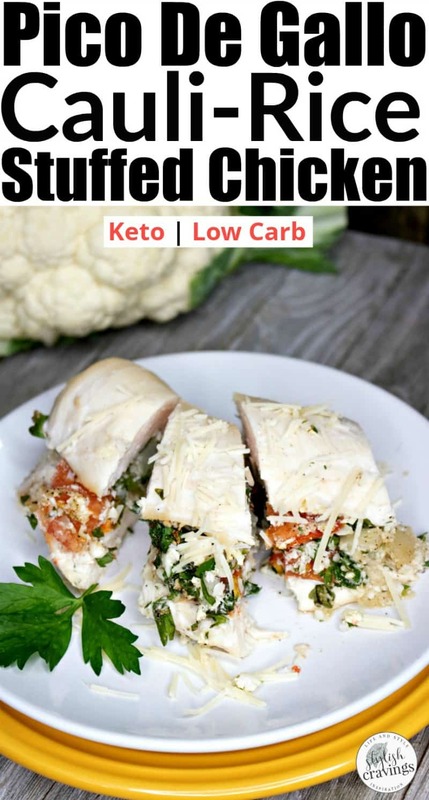 Both easy alternatives that allow me to make these low carb Keto recipes family friendly and easy to make! 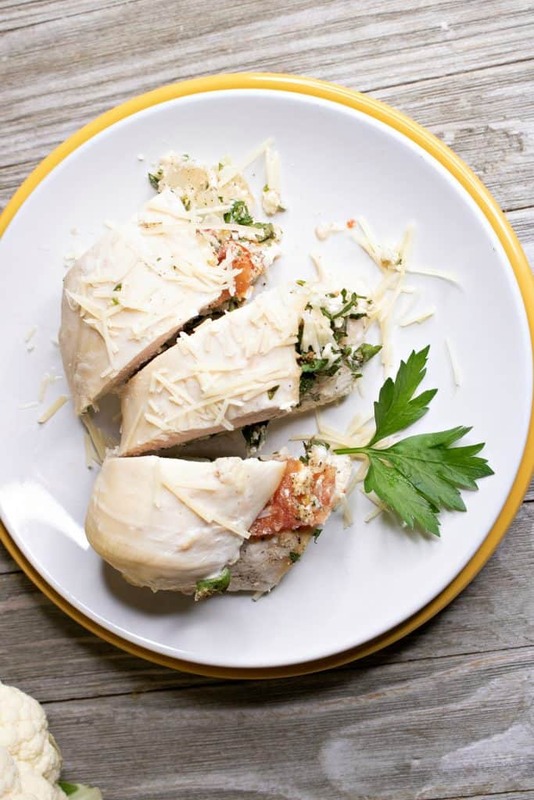 This Pico de Gallo stuffed chicken looks a lot harder to make than it really is! Scroll down for the easy to follow steps! 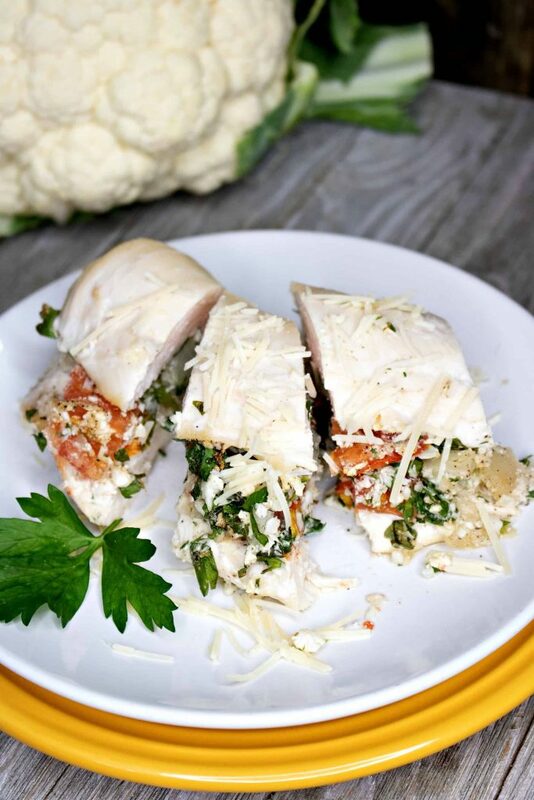 Slice chicken breasts in half length-wise like a fillet and fold back. 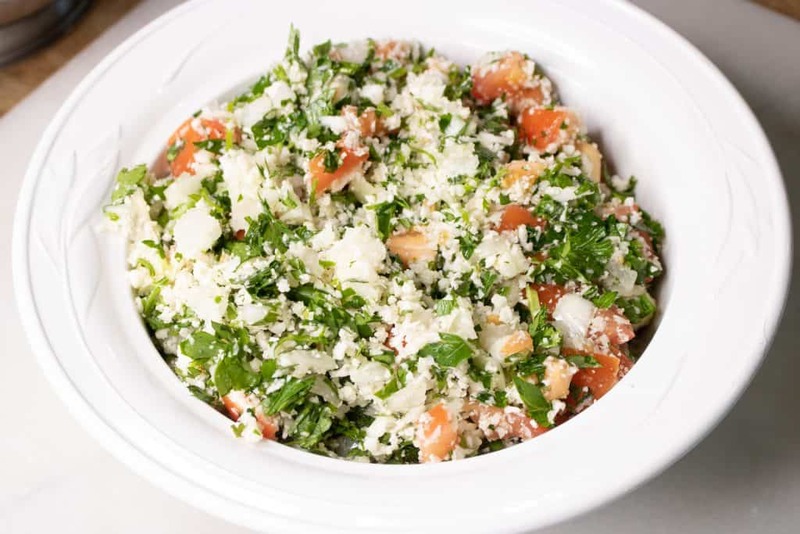 Mix the Pico de Gallo Cauliflower Rice. 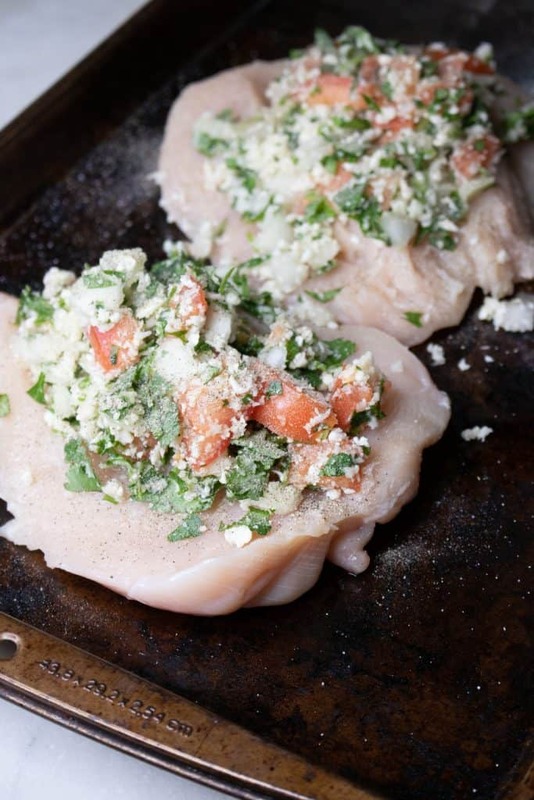 Fill the chicken breasts with the Pico de Gallo and fold chicken back over the top. Hold together with a toothpick or two if necessary. Bake in 350-degree oven for 30 minutes. 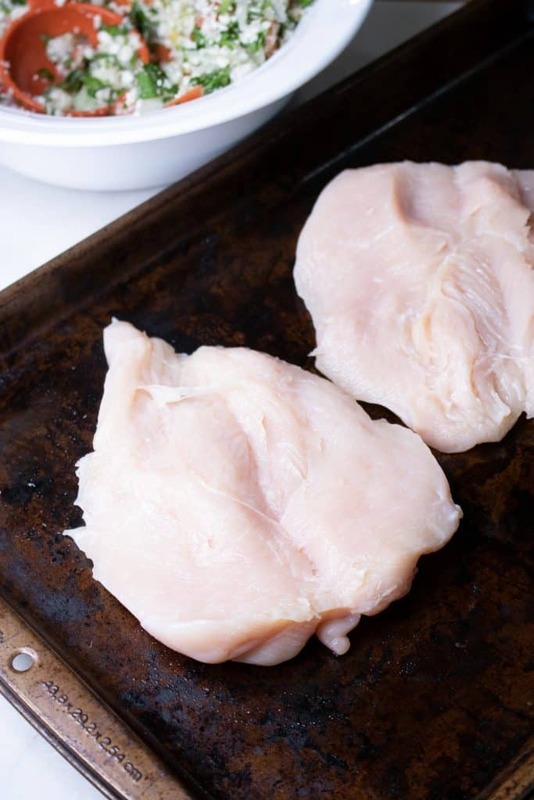 Click here to follow me on Pinterest where I share lots of Keto recipes!